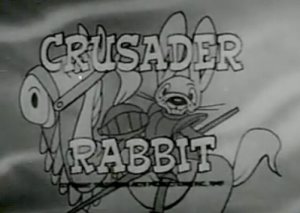 Apparently my first favorite show was Crusader Rabbit, a cartoon. I don't really remember it specifically, but I do remember begging my mother to pick me up and put me "in" the TV so I could play with the cartoon rabbit. However, somewhat later, when I was old enough to understand that there weren't actually little people in my television set, I had two shows that I do remember loving. One was Topper; the other was The Adventures of Superman. Few people remember Topperthese days. 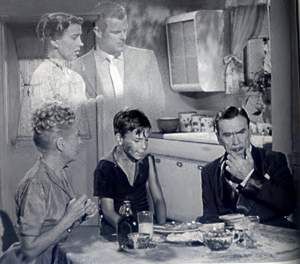 It was about a stuffy banker who, despite his wealth, is so repressed by his job, his wife, his boss and his station in life that when two wild-and-crazy ghosts, George and Marian Kirby (and their inebriated ghost-dog, Neil) haunt him, they determine to introduce him to the joys of living. Wow…what a concept. And, of course, I didn't understand it at the time; I just got a kick out of watching the ghosts appear and disappear. (The effects were pretty amazing for a 1953 TV show; they actually hold up pretty well today.) But the underlying message, that one needn't be dead to have stopped living, and that one needn't be living to be alive, has never left me. 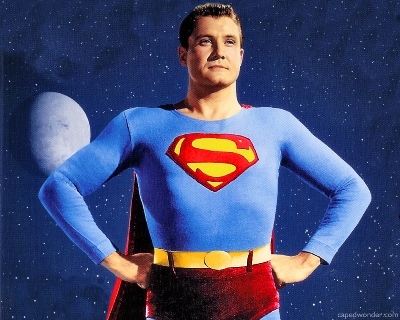 The Adventures of Superman has, of course, been just one incarnation of the most popular superhero in history. But what was its appeal to me, as a pre-schooler? But I don't think that was the appeal to me. My parents were not abusive and, other than the loss of my baby sister to SIDS, I had not yet experienced the kind of tragedy that might make me feel powerless. Rather, I think that even so young, I felt like an outsider. And Clark Kent, born on a completely different planet, a man who looked normal but had all those secret aspects to himself, was someone with whom I could totally identify. Why did I feel like an outsider? I have no idea I can back up with evidence. Certainly, by five years old, no one had ever treated me that way. Perhaps it was a bleed-through from other lifetimes; it might even have something to do with my being abducted by aliens, although I only had a couple conscious memories of that activity and neither of those was particularly unsettling, other than the fact that my mother dismissed my experiences as "just dreams." I watched other shows, of course. 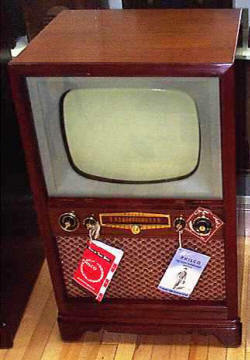 But when we moved to Florida, our TV did not survive the trip. And so, my sisters and I were forced to visit neighbors with television sets, such as the Atkinsons. My sisters and I would babysit their toddlers, in exchange for watching their TV. And that, in 1964, is where I first saw Bewitched. This said to me that, somewhere out there, there might be a place for me in which I could reveal my secret self. 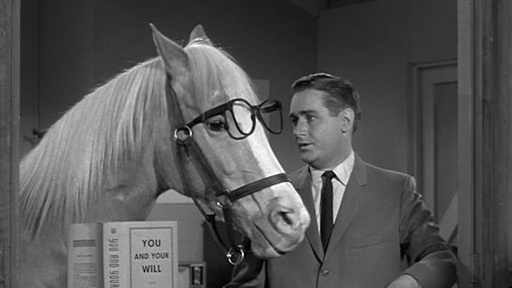 I didn't get to see Mr. Ed in its original run, for lack of a TV set. But I loved the reruns. This was not a "gay" show; yet it featured yet another magical being (a talking horse) and the one human who knew about him (and who had to keep the horse's secret). My Living Doll was considered so bad, even by its own producer, that he destroyed the originals from many of the episodes from the show's one-season run. Yet, I loved it. The notion of a mechanical woman who could be made "perfect" by virtue of her doing whatever she was told, without argument, meant nothing to me. But Rhoda (more correctly, project AF-409) was a computer, and I am certain that my childhood experience watching this show contributed to my becoming a computer programmer. Still, that Rhoda was a non-emotional computer appealed to me and I copied her walk…publicly. And Sister Trinita, principal of my grade school, pulled me aside to chide me for it. "I know you're a real boy," she told me, without explaining how I could be anything else. "But you have to walk like the other boys, or they will make fun of you." That's right. My grade school principal was worried by my walk. I Dream Of Jeannie, which was broadcast the same years as Bewitched, is also commonly used as an example of gay shows. In fact, you can buy decorative Jeannie bottles right now, if you wish; they are made by the original designer, who is, of course, a gay guy. But while Jeannie also was an example of a secret society of super-powered people, they were mostly Jeannie's relatives and were presented more as foils and villains than as cool people. 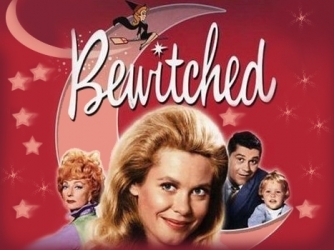 I watched, but never fell in love with the series as I did with Bewitched. 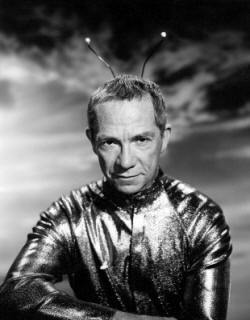 Then there was My Favorite Martian. From the same producer as My Living Doll, Jack Chertoff, the show was about yet another magical (alien) being on Earth, known to a single earthman who had to keep the alien's presence a secret. And by this time, there was a pattern that even my young, unsophisticated self could see. It was to show up again and again: Someone (a horse, a Kryptonian, a Martian, a nun, a witch, a genie) had special powers that became known to a confidant, who then had to keep the secret. There were various reasons given: Cosmo Topper and Tony Nelson didn't want to lose their jobs; Darrin didn't want to win customers by any means other than his own creativity; Tim O'Hara didn't want his Martian friend to be dissected. 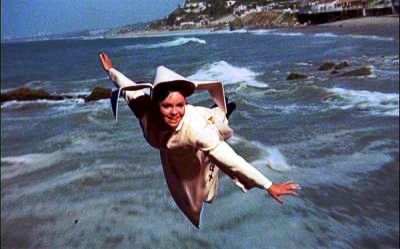 Not even the Convent San Tanco wanted to risk the "publicity" that would come if the fact that one of its novices, Sister Bertrille, could actually fly when the wind was right. So, what got hammered into my head over a period of two decades, was the idea that, if there was anything special about me—for example, my attraction to other boys but also my developing psychic abilities, and the occasional mysterious visits from aliens—it must be kept secret, to be shared only with one other person, who must be very carefully chosen for his or her ability to keep that secret. This concept probably kept me out of any amount of trouble while I was growing up! —But it also, inevitably, exacerbated my feeling of being an outsider. The popularity of these shows (most of them, anyway) has always been attributed to the "Eye of the Other". That is, these shows provided a forum for an outside perspective on the human condition. The fun-loving ghosts of Topper pointed out the futility of living a repressed life only to guarantee continued access to material goods. 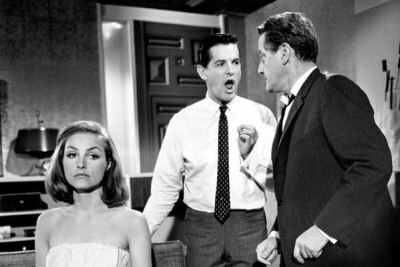 Mr. Ed was always good for a pointed barb directed at humanity ("Don't yell at me, Wilbur, I'm not your wife!") as was the Martian ("You Earthlings don't know how lucky you are. The only water we get on Mars has to be squeezed from rocks."). But I maintain that we all, gay, straight and in-between have "powers" we keep secret. Some straight guys enjoy cooking but keep it a secret because they were brought up to believe that cooking was woman's work. 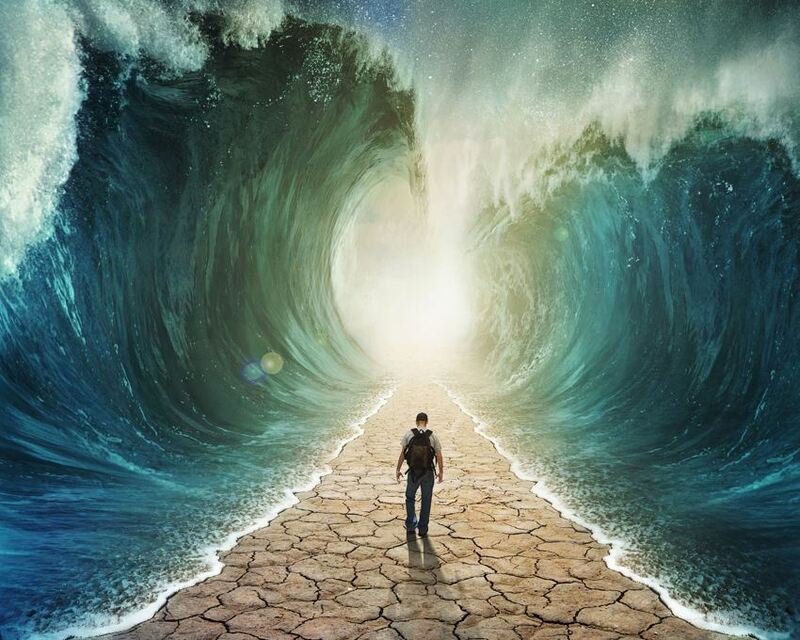 Many people are psychic but have learned it makes their friends nervous, and so keep their perceptions to themselves. And how many girls were taught not to be "tomboys" even when outdoors play was their preference? In fact, I wonder if the prevalence of gay men in fashion, and lesbians in women's sports, isn't because straight guys with a fashion sense, and straight women with sports skills, are simply too reluctant to reveal their secret powers! —While gays and lesbians, because we grew up knowing we were different, learned to deal with our differences and to make use of them, instead of suppressing them. A lot of this is changing, of course. These days, only the most backward of Americans would punish their son for expressing an interest in cooking or fashion, or their daughter from participating in sports. And I know a lot of younger straight guys who have absolutely no intention of suppressing their talents, no matter what they may be. By the time my grandchildren grow up, there may be no greater percentage of gays who are hairdressers than mechanics. And that will be a good thing. No one should have to hide his or her self from th4e world. We Earth people need every talented person we can find. And the fact that 90% of the population is heterosexual should not stop non-gays from letting their lights shine, too…Even if they no longer have the Kirbys, Clark Kent, Jeannie, Rhoda, Uncle Martin, Sister Bertrille, Samantha, or even a talking horse to guide them.